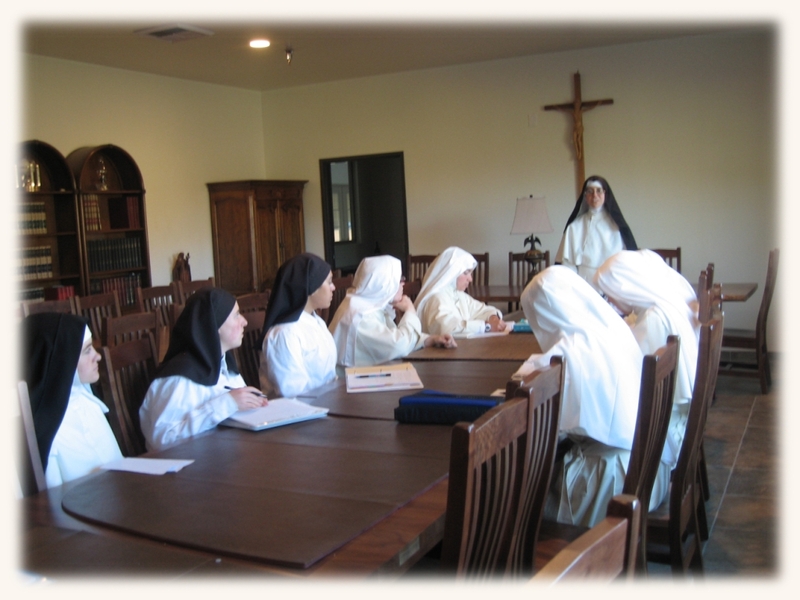 The goal of formation is to help the candidate to respond faithfully to her divine vocation, so that she may grow harmoniously into a mature human and Christian person… that she may sincerely develop a sense of Christian responsibility and may learn to dedicate herself, her qualities, and her talents to her sisters and to the Church in apostolic activity (Constitutions 141). 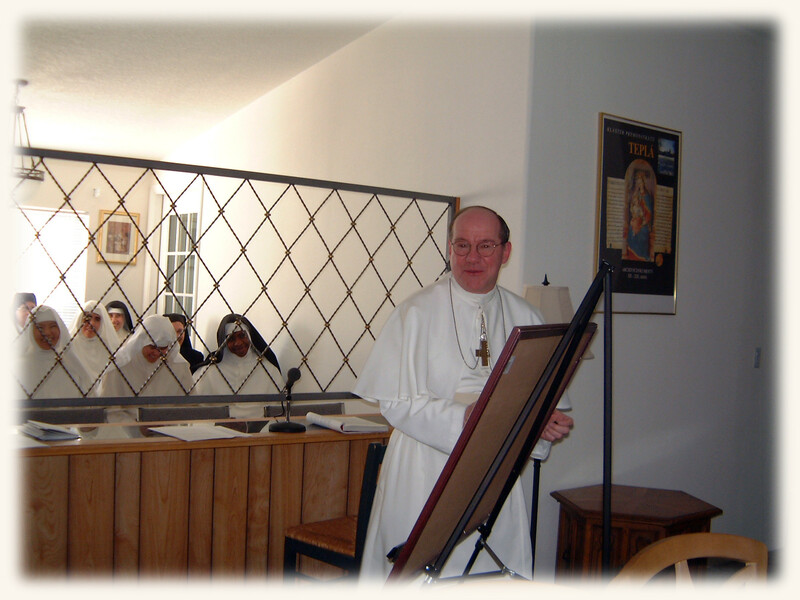 The morning hours after the time of Holy Mass are dedicated to classes and study for the sisters in initial formation, as well as to work. 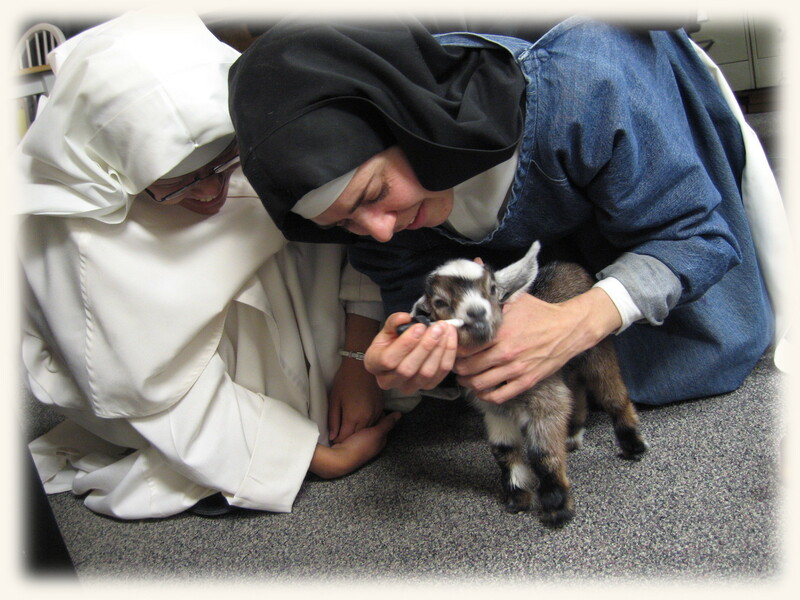 In addition to academic formation in Latin, Spirituality, Chant, Philosophy and Theology, formation also includes the learning and developing of various work and artistic skills. Sisters learn building and farming skills, as well as sewing, cooking, property maintenance, animal care, cheese-making, bee keeping etc.